Conservative investors have been frustrated in recent years because low interest rates have left guaranteed instruments yielding virtually nothing. And while rates will undoubtedly rise again at some point, guaranteed instruments will never outpace inflation. This creates a dilemma for many investors who seek a decent return on their money, but don’t want to risk losing their principal. However, there are several investment options paying higher rates of interest than CDs and treasury securities with a very reasonable amount of risk. 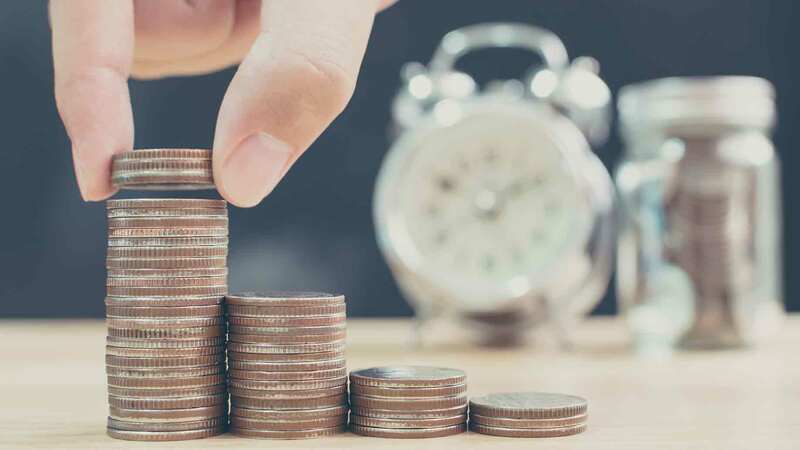 Those who are willing to explore some of these options can significantly increase their investment income without having to lie awake at night worrying whether their money will still be there in the morning. One common mistake that many investors make is assuming that a given investment is either “safe” or “risky.” But the myriad of investment offerings available today often cannot be classified so simply. Fixed income investments, such as bonds and CDs, are typically subject to interest rate, reinvestment, purchasing power, and liquidity risk, while stocks and other equity-based investments are more vulnerable to market risk. And while a few investments, such as municipal bonds and annuities, are at least partially shielded from tax risk, no investment is safe from political or legislative risk. Of course, the specific types of risk that apply to an investment will vary according to its specific characteristics; for example, investments that are housed inside a Roth IRA are effectively shielded from taxation regardless of all other factors. The level of risk that a given security carries will also vary according to its type, as a small-cap stock in the technology sector will obviously have a great deal more market risk than a preferred stock or utility offering. Understanding where different types of investments fall in the risk-to-reward spectrum can help investors identify opportunities to seek greater returns while still maintaining a modicum of safety. 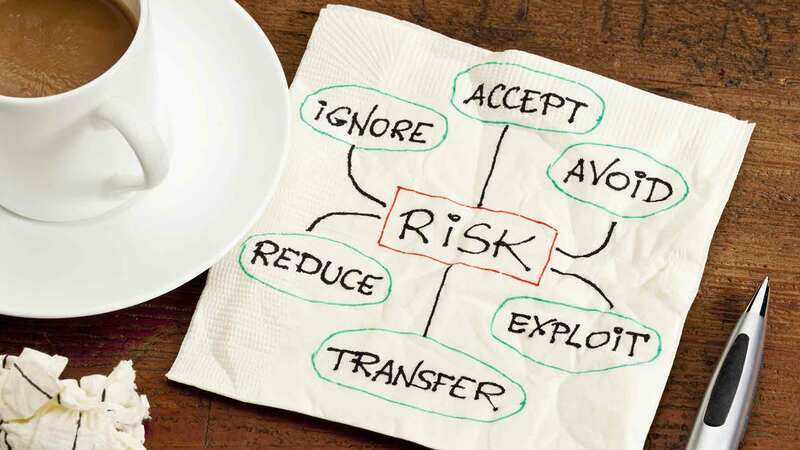 Moreover, by being aware of the particular type of risk an investment is exposed to, investors can make better decisions on what is appropriate for their situation and portfolio. There is no such thing as a risk-free investment – all investments, including those that are guaranteed to return principal, carry some sort of risk. But those who are willing to venture into the low- to moderate-risk category of investments can find substantially better yields than those offered in the safe category. Preferred stock is a hybrid security that trades like a stock but acts like a bond in many respects. It has a stated dividend rate that is usually around 2% higher than what CDs or treasuries pay, and usually trades within a few dollars of the price at which it was issued (typically $25 per share). Preferred offerings usually pay monthly or quarterly, and their dividends can qualify for capital gains treatment in some cases. Preferred stock also has very little liquidity risk, as it can be sold at any time without penalty. The main types of risk that preferred stock carries are market risk and tax risk. Cumulative Preferred. 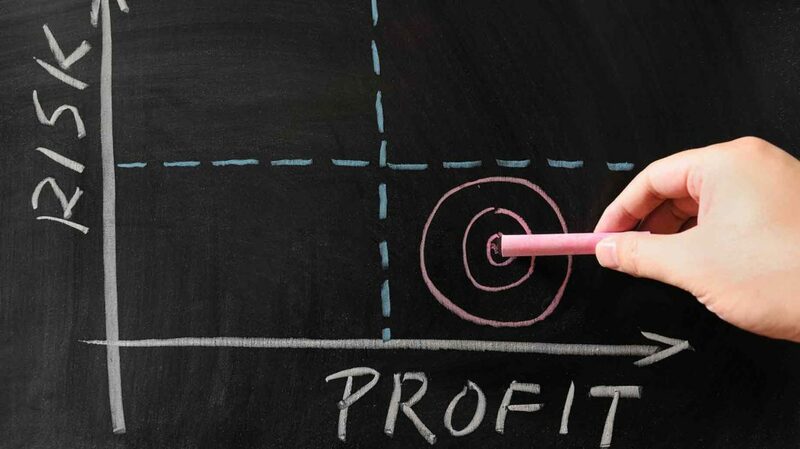 Accumulates any dividends that the issuing company cannot pay due to to financial problems. When the company is able to catch up on its obligations, then all past due dividends will be paid to shareholders. Participating Preferred. Allows shareholders to receive larger dividends if the company is doing well financially. Convertible Preferred. Can be converted into a certain number of shares of common stock. Most preferred issues are also graded by credit ratings agencies, such as Moody’s and Standard & Poor’s, and their default risk is evaluated in the same manner as for bonds. If the issuer of a preferred offering is very stable financially, then it will receive a higher rating, such as AA or A+. Lower rated issues will pay a higher rate in return for a higher risk of default. Preferred shareholders can also count on getting their money back from the issuer before common stockholders if the company is liquidated, but they also do not have voting rights. Utility stocks are common stocks and come with voting rights. Their share prices are generally not as stable as preferred offerings. They are noncyclical stocks, which means that their prices do not rise and fall with economic expansion and contraction like some sectors, such as technology or entertainment. Because people and businesses always need gas, water, and electricity regardless of economic conditions, utilities are one of the most defensive sectors in the economy. Utility stocks are also often graded by the ratings agencies in the same manner as bonds and preferred issues, are fully liquid like preferred stocks, and can be sold at any time without penalty. Utility stocks typically carry slightly higher market risk than preferred issues and are also subject to taxation on both dividends and any capital gains. They allow investors to put a virtually unlimited amount of money away and let it grow tax-deferred until retirement. The principal and interest in fixed contracts is backed by both the financial strength of the life insurance companies that issue them, as well as by state guaranty funds that reimburse investors who purchased an annuity contract from an insolvent carrier. Although there have been instances of investors who lost money in fixed annuities because the issuing company went bankrupt, the odds of this happening today are extremely low, especially if the contract is purchased from a financially sound carrier. In return for their relative safety, fixed annuities also pay a lower rate than utility or preferred stocks; their rates are generally about 0.5% to 1% higher than CDs or treasury securities. However, some fixed annuity carriers will also offer a higher initial rate, or “teaser” rate, as a means of enticing investors. There are also indexed annuities that can give investors a portion of the returns in the debt or equity markets while guaranteeing principal. These contracts can provide an excellent return on capital if the markets perform well, while they may only offer a small consolation gain under bearish conditions. Annuities resemble IRAs and qualified plans in that they grow tax-deferred with a 10% penalty for withdrawals taken before age 59 1/2. And like IRAs and other retirement plans, all types of annuity contracts are unconditionally exempt from probate and also protected from creditors in many cases. The major risks that come with annuities are liquidity risk (due to the early withdrawal penalty, and also any surrender charges levied by the insurance carrier), interest rate risk, and purchasing power risk. Although they do not pay rates as high as preferred or utility stocks, brokered CDs can pay significantly more than their counterparts that are sold by personal bankers. Brokered CDs are issued like bonds and trade in a secondary market, but are still insured by the FDIC – provided that they are held until maturity. If the CDs are sold before then, then the investor may get less than their face value in the secondary market. Many brokerage firms sell this type of CD. For example, Edward Jones has used brokered CDs to attract customers from banks who were seeking higher yields. Brokered CDs carry the liquidity risk that comes with any other type of bond and are subject to taxation. Income funds invest in a wide range of income-producing instruments, such as bonds, mortgages, senior secured loans, and preferred and utility stocks. The diversification and professional management they offer lessens the market and reinvestment risks found in individual securities. The combination of different classes of securities, such as bonds and preferred stocks, can also combine to provide a superior payout with less risk than individual offerings. Investors have a wide range of choices when it comes to income funds. There are hundreds, if not thousands, of income funds available today – investors should know exactly what they are looking for and do their homework before investing in one. Some funds are very conservative, investing only in things like cash instruments and treasury securities, while others are much more aggressive and look to junk bonds and mortgage-backed securities to provide a high level of income. Funds that invest solely in utility stocks can also be considered income funds, although they may have growth as a secondary objective. But those who are considering utility stocks can also diversify with a utility fund or UIT. Exchange-traded funds are the newest player on the block. These instruments resemble UITs in that they are a packaged group of preselected securities, but unlike traditional UITs they trade daily in the markets like stocks and can be bought and sold in intraday trading. Many ETFs are also geared to produce income using the strategies described above. Income funds offer market risk, reinvestment risk, and tax risk in most cases. They can also have political risk for international funds, and purchasing power risk from conservative funds. Morningstar.com can provide objective information on the characteristics, risks, management style, and performance history of most funds as well as compare each one to its peers. Investors who seek income have several alternatives to choose from that can offer superior payouts with minimal risk. It is important to understand that there is no such thing as a truly risk-free investment but that different investments carry different types of risk. However, those who are willing to consider conservative to moderate income-producing alternatives that are not guaranteed for principal can receive a higher payout than what traditional banks can offer. For more information on income-producing investments, consult your financial advisor. What are your favorite investment options with low to moderate risk? Mark Cussen, CFP, CMFC has 17 years of experience in the financial industry and has worked as a stock broker, financial planner, income tax preparer, insurance agent and loan officer. He is now a full-time financial author when he is not on rotation doing financial planning for the military. He has written numerous articles for several financial websites such as Investopedia and Bankaholic, and is one of the featured authors for the Money and Personal Finance section of eHow. In his spare time, Mark enjoys surfing the net, cooking, movies and tv, church activities and playing ultimate frisbee with friends. He is also an avid KU basketball fan and model train enthusiast, and is now taking classes to learn how to trade stocks and derivatives effectively.